A September 2012 Google Streetview image of Dragul’s home. 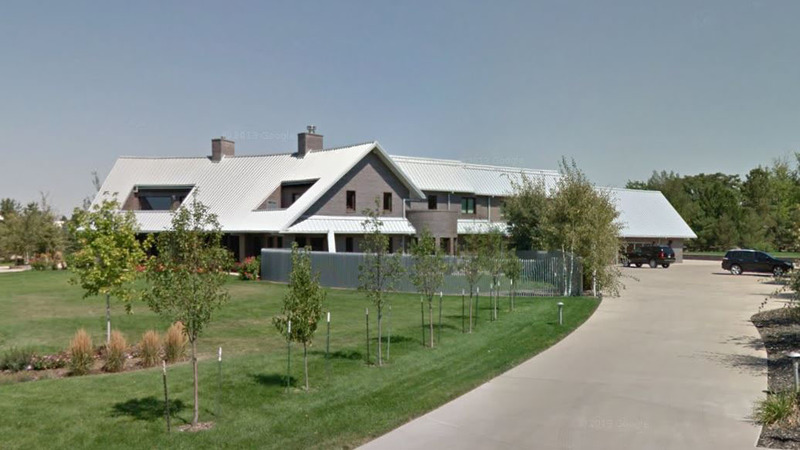 Embattled real estate investor Gary Dragul’s Cherry Hills Village mansion is on the market. Dragul, who has been indicted on 14 counts of securities fraud, is asking $6.95 million for his custom-built five-bedroom, 10-bathroom home at 10 Cherry Lane Drive, according to a Zillow listing. The listing said the 12,286-square-foot home on approximately 2 acres was designed by architect Don Ruggles, and features, among other things, a five-car garage, heated pool, three-story spiral staircase and two built-in aquariums. The home is being marketed by the Colorado Dream House Team, a team within Keller Williams Realty DTC led by Dan Polimino and Gary Lohrman. The listing isn’t a surprise, as two separate lenders to Dragul have initiated the foreclosure process in recent months, according to county records. Dragul was indicted on nine counts of securities fraud in April 2018, and five additional counts last month, in connection with an alleged scheme that state officials say swindled millions from investors. In addition to the ongoing criminal case, the state also filed a civil lawsuit against Gary Dragul. And in August, a judge appointed Harvey Sender, of Denver’s Sender & Smiley, as receiver overseeing Dragul’s assets. Court documents state that Dragul’s permanent residence is not considered part of the receivership estate, “unless the Receiver determines that an improvement to or an increase in equity in such residence is directly related to the proceeds from the sale of the securities or matters referenced” in the state’s case. Lawsuits filed by a beverage distributor last year revealed that Dragul and his wife owned at least two local liquor stores at the time. Cornerstar Wine & Liquor in Aurora and Incredible Wine & Spirits have since closed.